Volunteer overseas with Projects Abroad, as a great opportunity to put your time into a meaningful and rewarding programme. We offer a wide range of service trips in various fields of interest, with placements in more than 30 destination countries around the world. With more than 300 trained staff in our destinations and over a thousand different placements to choose from, we are one of the leading volunteer organizations in the world. But our impact will not be felt without the dedicated overseas volunteer work completed by our participants of all ages and backgrounds, who total more than 5,000 each year. As an overseas volunteer, you will have an important role to play at your placement, and will make a significant contribution to the goals set out by the project you are on. Your work will benefit the community or the environment where you are placed, as these areas are often faced with various forms of social, economic or environmental issues that require urgent attention. Importantly, you will also learn a great deal from your time abroad. On a service trip abroad, you will be able to improve or develop new skills, as you put them into practice during your time abroad. You will also learn about new cultures while sharing yours with those you interact with. By spending time in a different country, you will get to immerse in a different way of life, immersing in a new culture and growing into more of a global citizen. Your presence on a volunteer programme will also benefit other volunteers you interact with, as you will share your cultures and experiences with one another, and together bring a more cross-cultural understanding into the world. Our overseas volunteer programmes will not only provide beneficial aid and services to the community where you are placed. You will also gain a great deal from the cultural exchange process which takes place during our volunteer trips. As part of the global economy, we help create local employment wherever we send volunteers. We employ local staff at our placements overseas and use their talents and knowledge to further contribute to the impact of their communities. Local knowledge and support enables us to channel the skills of our volunteers to regions around the world where they are needed. 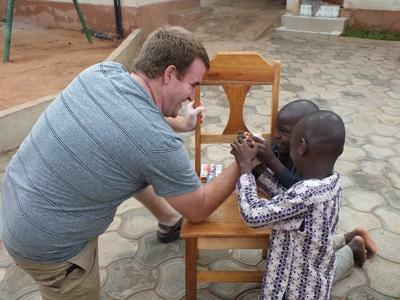 Volunteers learn from the people they meet while gaining experience in a chosen field. In the 21st century, we believe this mutual respect is what cultural exchange is all about.